Charles Presley Nash was a fourth generation Californian, born in Sacramento, California on March 15, 1932. He graduated from C.K. McClatchy Senior High School, in 1948 at the age of 16, enrolling at Sacramento City College, where his parents were professors. His family had a history of academia; his father Clarence being a professor of physics for 37 years at Sacramento City College, his mother an instructor in French at Sacramento City College and his grandfather Harry was an engineering faculty member at Washington State University. 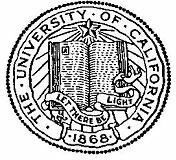 He transferred to UC Berkeley in 1950 and completed his B.S. degree in chemistry there in 1952 performing senior research with Professor George Pimentel. He was in the ROTC (Reserve Officer Training Corps), and was inducted into a lifelong membership of Sigma Psi honor society. For a short time he was an officer in a US Army Engineering Battalion until the Korean War ended. Charlie, as he preferred to be called, attended graduate school in chemistry at UCLA 1952-1957, receiving his Ph.D. degree under the guidance of Professor W.G. McMillan with additional mentoring by Professor Robert L. Scott. The title of his Ph.D. dissertation was, “Studies on Electrically Exploded Wires.” As a graduate student he was employed by UCLA to teach undergraduates. He was proud that his employee identification number remained the same after graduation and appointment to the Davis faculty, which reflected uninterrupted employment in the UC system from graduate school until his last appointment ended in 2006. Charlie was appointed instructor of chemistry at UC Davis in 1957, and advanced through the academic ranks handily from assistant professor to professor. He was absent from the campus in 1968-69 when he was Visiting Senior Lecturer in Physical Chemistry at the Imperial College of Science and Technology, London, England, and again in 1979-80 when he was Distinguished Visiting Professor of Chemistry at the United States Air Force Academy, Colorado Springs, Colorado. His time at the Air Force Academy was during the early proliferation of scientific calculators. Charlie would often intentionally design problems that would exceed the dynamic range of the calculators to encourage students to use and understand scientific notation. Upon his return to the campus, Charlie shared one student’s written response to a question being “the answer is flashing 9’s”, which of course was the calculator’s warning that its dynamic range had been exceeded. Professor Nash’s research was in physical chemistry and he accumulated a reputation as the person to see for consultation about condensed phase physical chemistry. He extended his dissertation studies on electrically exploded wires, characterizing all aspects of the phenomenon: the time development of the physical process, the spectroscopy of species in the explosion, influences of confinement on the explosion, and the use of the exploded metal powders as catalysts. His developed expertise in spectroscopy was a tool that became a mainstay of his research. His understanding of thermodynamics and interest in solution phenomena produced a series of papers characterizing solute-solvent and solute-solute interactions and equilibria, particularly in substituted amino acids, which enabled him to make major contributions to the field of hydrogen bond strength and tautomerism in amino acids. Charlie explored the consequences on the vibrational force field, the equilibrium forms and the hydrogen bond strengths by selecting alternative substituents on the N-atom of the amino acid. His expertise in solution chemistry enabled him to make important contributions to the energetics of biochemical reactants. He produced a series of papers on both the crystalline structure and the vibrational spectroscopy of amino acids and disulfide containing species. Charlie’s expertise in spectroscopy made him the department’s pioneer in laser raman studies. Several studies included alternative crystalline forms of the studied compounds and categorically established a conformational dependence of the vibrational force field in disulfides. His studies of isotope effects in spectroscopy, coupled with Charlie’s deep understanding of statistical thermodynamics led naturally to several collaborative studies on the thermodynamics of isotope exchange reactions. Charlie was always a careful observer in research, which led him to pursue interesting phenomena uncovered in the course of investigations directed toward other goals. This careful observation led him to discover early onset cooperative phenomena in the melting of amino acid crystals and the intricacy of the solution chemistry of electrochemically produced Ag(II). Charlie had an attentive ear to research problems of other faculty members and collaborated extensively, both with colleagues in the chemistry department and with colleagues widely across the campus. He was proud of having co-published with fourteen different UC Davis faculty members. His collaborations addressed central issues of these research problems, often enabling rapid progress. His contributions to characterization of biochemical species in solution led to a vibrational force field understanding of the reactivity of coenzyme A. His solvolysis studies of model compounds permitted quantitative estimates for the hydrolysis free energy of an intermediate in reactions catalyzed by phosphoketolase. His expertise in analytical chemistry resolved the quantitation of 226Ra in an important campus effort in the long-term effect of radiation exposure in beagles, which remains one of the most significant studies of long-term exposure to radiation in mammals. In 1978, Charlie became the first member of the Department of Chemistry to receive the Distinguished Teaching Award bestowed by the Davis Division of the Academic Senate. He often began his courses with a promise to students that he would do his best to “make you think like a chemist.” His good citizenship and academic leadership extended beyond the department to the whole campus and eventually to the entire University. Charlie served as chair of the Davis Committee on Academic Personnel in the mid 1980’s and subsequently chaired the University-wide committee where he was instrumental in revising the bylaw that gives department members their voting rights on appointments and promotions. During a particularly turbulent time of campus academic leadership, Charlie provided a steadying influence by serving an unprecedented two back-to-back terms as chair of the UC Davis Academic Senate 1987-1991. During this time he co-wrote the UC Davis’ “Principles of Community,” helped revise English requirements for entering students so that remedial work could be completed in local community college courses, and helped in the development of campus policies regarding tenure termination for incompetence, while safeguarding academic freedom and tenure privileges of individual faculty members. Charlie became emeritus professor in 1993, but remained active in the life of the campus and the UC Davis Faculty Association until his death. Professor Nash felt the University needed to do more to address the need for secondary school science teachers and was instrumental in overseeing the development of a realistic curriculum in physical science tailored to the needs of preparation for high school science teachers. Among Charlie’s important contributions as a member of the UC Davis Faculty Association was his success in lobbying against a bill in the California Legislature that would have banned faculty members from using their own books as texts in their classes and in lobbying for augmentation of the University budget by $10 million for the library print collections and for $20 million to replace obsolete equipment in teaching laboratories. He was also instrumental in lobbying for the enactment of laws establishing intellectual property rights of academics. Charles P. Nash and his Chemistry Colleague Thomas L. Allen interviewed each other on September 23, 1995 as part of the UC Davis Emeriti Association Video History Project. These video interviews are available for viewing at the UC Davis Shields Library Special Collections Reference Desk. Charlie’s personal life provided him as much or more satisfaction than his professional life. While at UCLA he married Lois Olive Brown in 1955. During their 44-year marriage, they raised three children, Nancy, Sandra, and James. Music was important to Charlie and he passed this passion on to his children. He and Lois traveled extensively, with trips to Europe, South America, New Zealand and throughout the United States, but tragedy struck in 1999 when Lois died the day after their return from a ten day trip to China. Following Lois’ death he assumed her position on the board of directors of the League of Women Voters of Davis, California. In 2002, he met and in 99 days married D. Clinton Congdon, and his last years were filled with great love and joy. Charles Presley Nash died on July 15, 2007, at age 75 from complications of pneumonia. Survivors include his wife D. Clinton Congdon Nash, his daughter Nancy Holl of Lothian, Maryland, daughter Sandra Clark of San Diego, son James Roy Nash of Urbana, Ohio, stepchildren Maya and Dane Garnica and Collin Nash, all of Davis, and five grandchildren. It is altogether fitting that the Charles P. Nash Prize, funded by his family and the campus community, is awarded annually by the Davis Faculty Association, Davis Division of the Academic Senate and UC Davis Academic Federation to commemorate Professor Nash’s exceptional achievement in promoting shared governance and advocating for faculty interests and welfare. Charlie brought a refreshing candor to the examination of every problem, whether it was chemical, academic, political, or personnel. His independence of thought enabled him to consider all facets of the problem and his sharp intellect could perceive the direction and consequences of alternative resolutions. He always discussed topics with good humor and respect for all participants. His succinct concluding remarks regularly brought cohesion and consensus to even the most controversial conflicts. His enthusiasm for academic enterprise was unbridled. The chemistry department, the Davis campus, and the University are better places for his efforts and he is remembered with appreciation and affection.